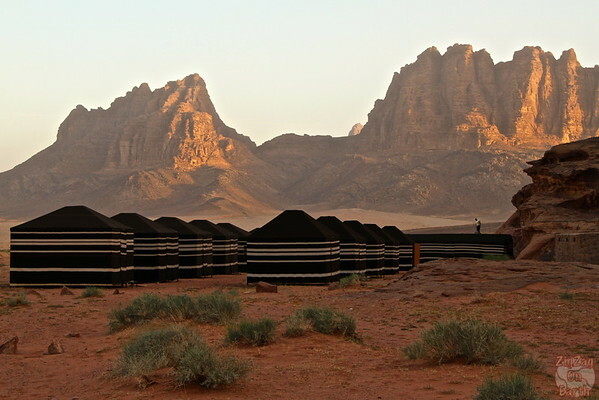 One of the incredible exeprience you can live in Jordan is spending a night at a Bedouin camp in the colorful desert of Wadi Rum. Even though I was really sick it was an unforgettable night and the bedouins took good care of me, preparing their natural medicine for my stomach flu. 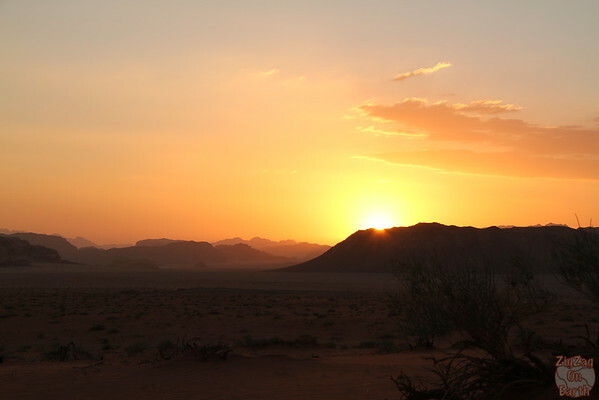 I love sleeping in the desert: rediscovering silence, being close to nature and admiring georgeous sunsets and clear night skies. 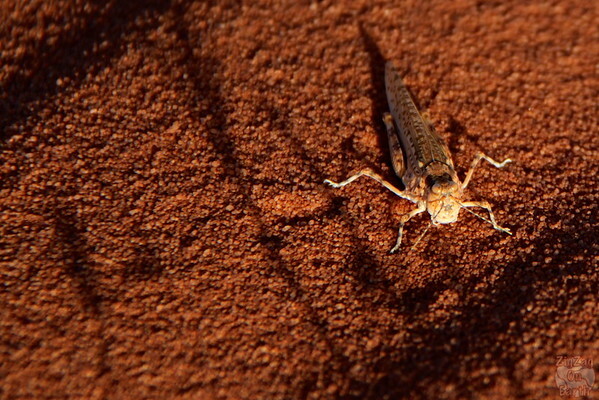 I have already had the chance to do it in Australia, Namibia, Morocco and Jordan. 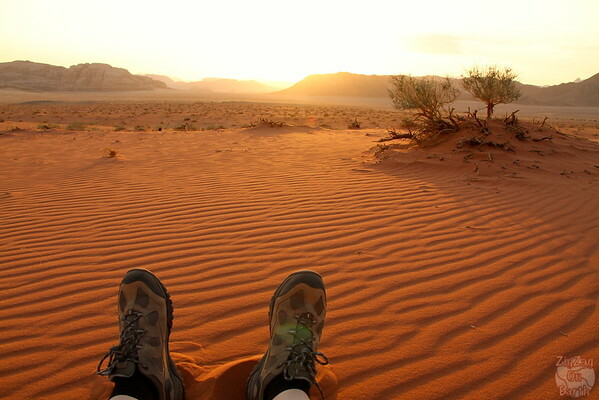 Jordan was really special with those interesting mountains in the sand. 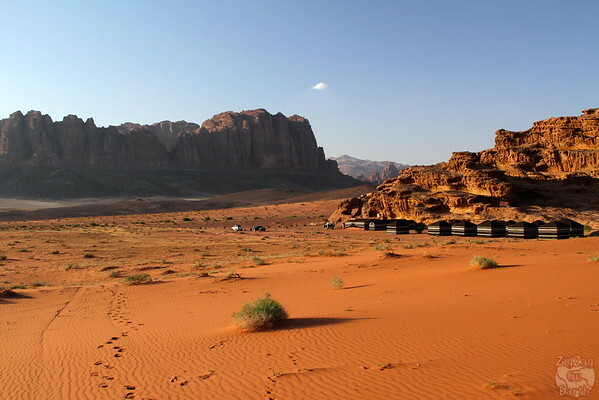 Wadi Rum is located in the South of Jordan. Camps can only be accesses via 4WD or camels. ​My stay was organized as part of the Terhaal week long tour and I was sick, so I was not able to gathar more information for you. Sorry. Being sick and shivering in the middle of the desert under a very thick winter Bedouin coat, my guide decided to take me to the camp which is the one of Salem Mohammed Gablan and where I would spend the night. 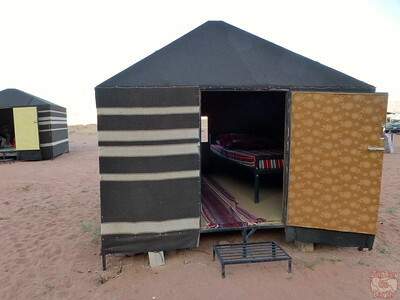 The tents are made of goat hair and are really not supposed to be used when the sun hits them. The site has also set up a place in within the rocks for people to rest but the wind and flies were not helping with my condition and I opted for the sauna of my tent to try sleeping off my flu. After sunset we all gathered in the big Bedouin tent for diner. They presented the way of cooking and everybody appreciated the meal. I was feeling slightly better and was able to eat some meat and vegetables. The best meal of my whole trip. 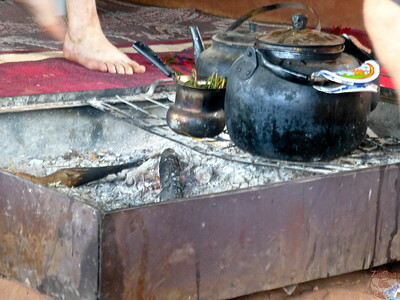 And, as I was sick, the Bedouins gathered some local herbs to make me a remedy. See the small cup on the photo below it was mine! Sadly I never drink tea or warm drinks (or coffee by the way). So it really felt like medicine to me, especially with the large amount of sugar they add (maybe the equivalent of 5 sugars in a very small glass!). 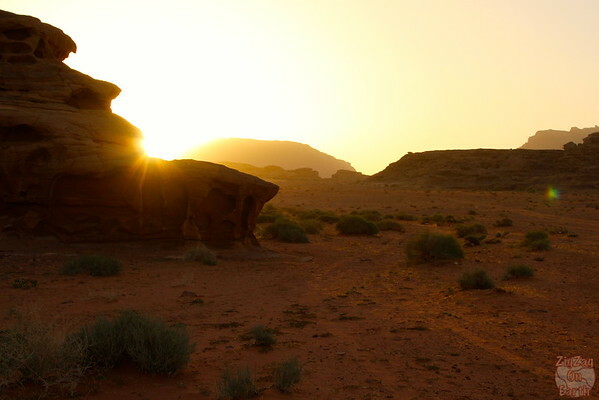 Have you ever slep in a desert?